The Temptress chap is everything you need for all-day comfort on a bike - enhanced by good looks. 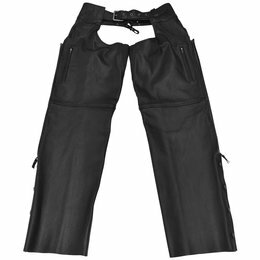 A stretch panel in the thigh, lining that drops to just below the knee, and full-length size zippers let you enjoy the ride all day with no discomfort. 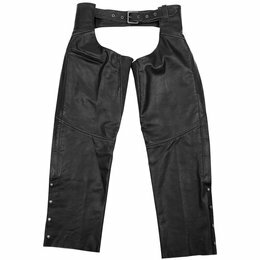 Moto chaps offer plenty of comfort and protection. Equipped with a stretch panel in the thigh, along with an inner liner that goes just past your knee, they deliver all-day comfort and good looks. 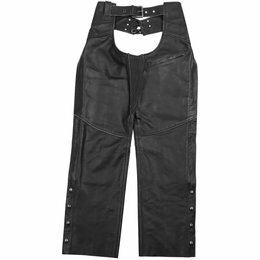 Hotness chaps offer a classic look, easy access front pocket, an adjustable fit via back lacing, and an extra-long belt. Snap closures and easily trimmed legs let you make the Hotness fit perfect for years to come. 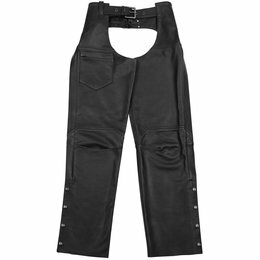 Black Brand Degree chaps offer a classic look, easy access front pocket, an adjustable fit via back lacing, and an extra-long belt. Snap closures and easily trimmed legs let you make the Degree fit perfect for years to come. The Torque chap is everything you need for all-day comfort on a bike. A stretch panel in the thigh, lining that drops to just below the knee, and full-length side zippers let you enjoy the ride all day with no discomfort.